Are you using video in your business? - Coach & Grow R.I.C.H. …and no, it wasn’t “that” kind of video – LOL! Since then I’ve had a love/hate relationship with being on video. 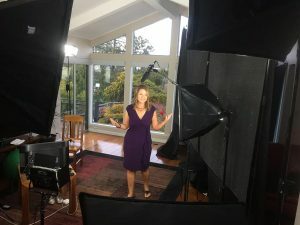 How do you feel about video and are you using it in your coaching business? The fact is video continues to grow as the #1 way for doing virtual coaching, delivering online training and group programs… not to mention marketing! => 79% of consumers say they prefer watching a video to reading when they want to learn more about a product or service. => 84% of consumers have bought something after watching a video. => 45% of people watch and hour or more of online video per day. So if you’re not yet using video, why not? I know it can feel intimidating to be in front of the camera, but I promise, the more you do it, the easier it gets! And unlike back in the flip video camera days, we can shoot great videos right from our phones. I hope to see you on video soon! I’m also focusing on doing more videos for my business. Yesterday I did a full day video shoot at my house and will be sharing those videos with you in the upcoming months, so stay tuned! Also, one of my coaches has challenged me to do more Facebook Lives… So here’s a short Facebook live I did yesterday where I share some video tips and a little about my video making journey.